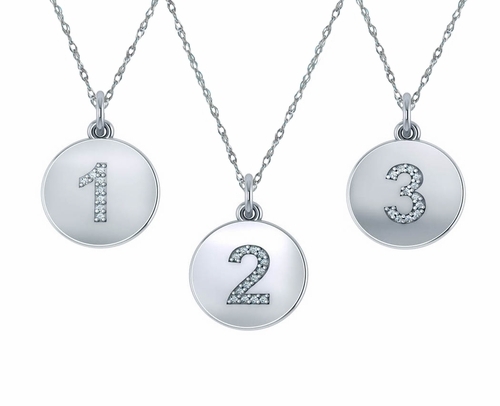 The Numeric Number Pave Cubic Zirconia Disc Charm Pendant is a wonderful charm that is similar in style to our Vanity Charm Pendant, item P1092. 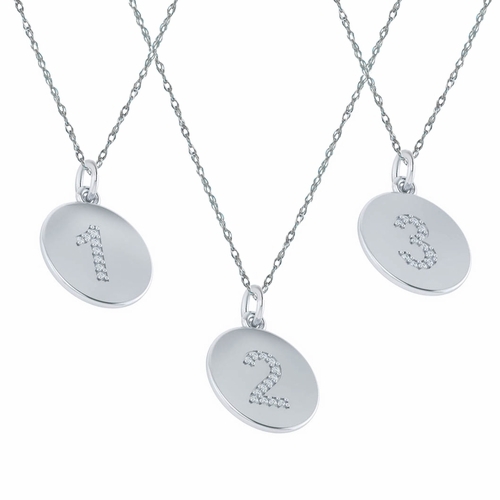 This number charm pendant measures approximately 15mm in diameter, the bale is additional. 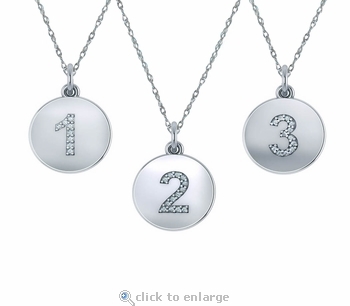 Get your favorite number to signify a special occasion, a sports player or any other numerically significant event. Choose from 14k white gold, 14k yellow gold, 18k white gold, 18k yellow gold or platinum. Chain length options include a 16 inch length and an 18 inch length is also available. Each necklace sold separately. Choose from the number "0" to the number "12". Please see the pull down menu for all options. For further assistance please call us directly at 1-866-942-6663 or visit us via live chat and speak with a knowledgeable representative.